There is a magnificent cherry blossom street along the banks of the Asuwagawa River, which runs behind AZ INN FUKUI. 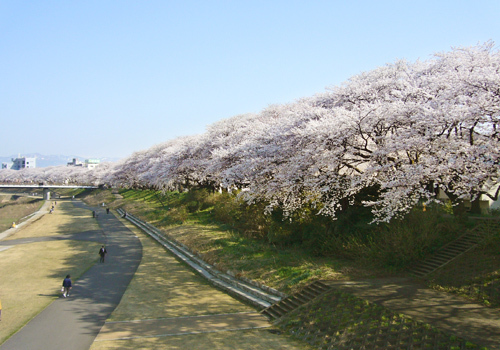 The street is 2.2km long and has been selected among “Japan’s Top 100 Cherry Blossom Spots”. The trees are lit up at night so visitors can enjoy the beautiful sight during the day and also in the evenings. There are special stay plans during the cherry blossom season as well as for guests planning to visit during this time of the year. This is one of the largest dinosaur museums in the country with various dinosaur exhibits on display. It is enjoyable for children and adults, with also a 4,500㎡ exhibition room. 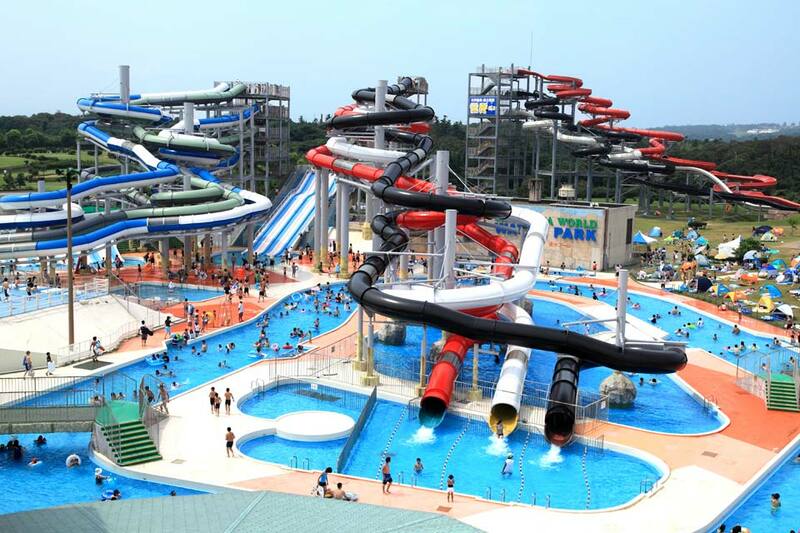 Green turf spreads throughout the vast park space, with various entertainment facilities including a pool, putter golf course, and amusement park. 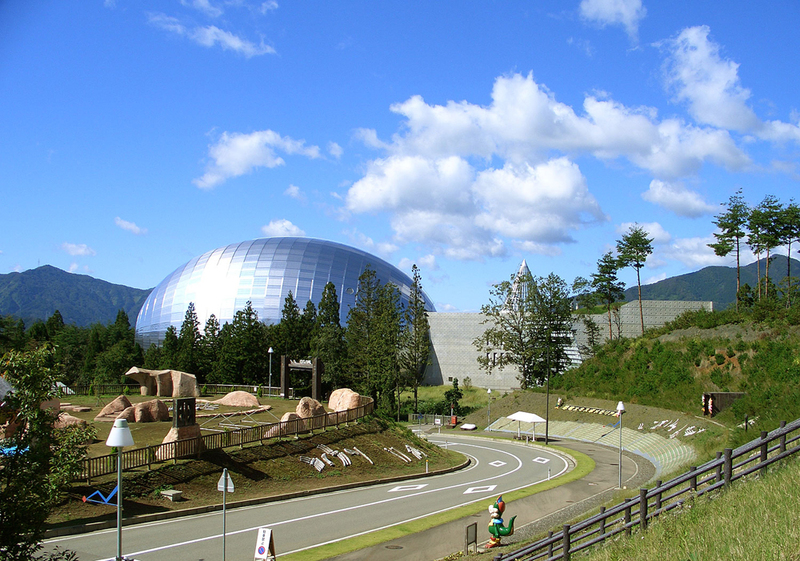 An entertainment theme park with 6 kingdoms, surrounded by green turf and the Sea of Japan nearby. 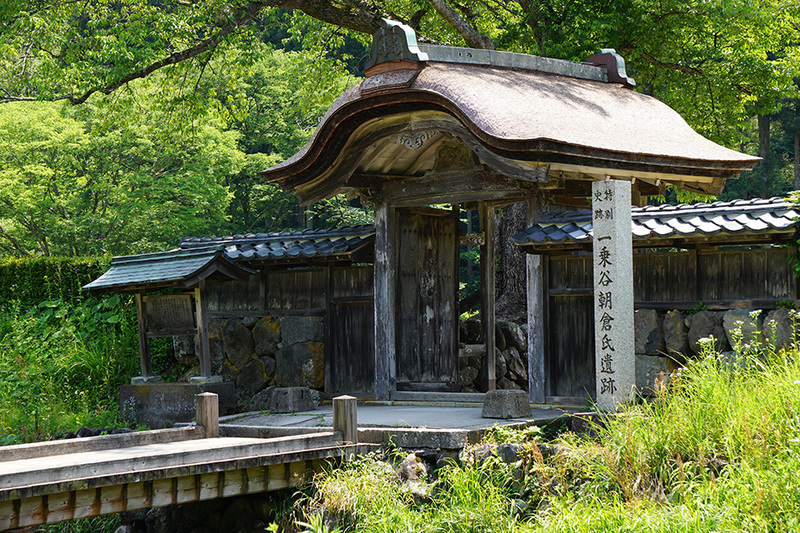 This is the ruin of the castle town once ruled by the Asakura Clan during the civil war period. Traces of the place during the warring period can still be seen to this day in the town surrounded by rich nature. 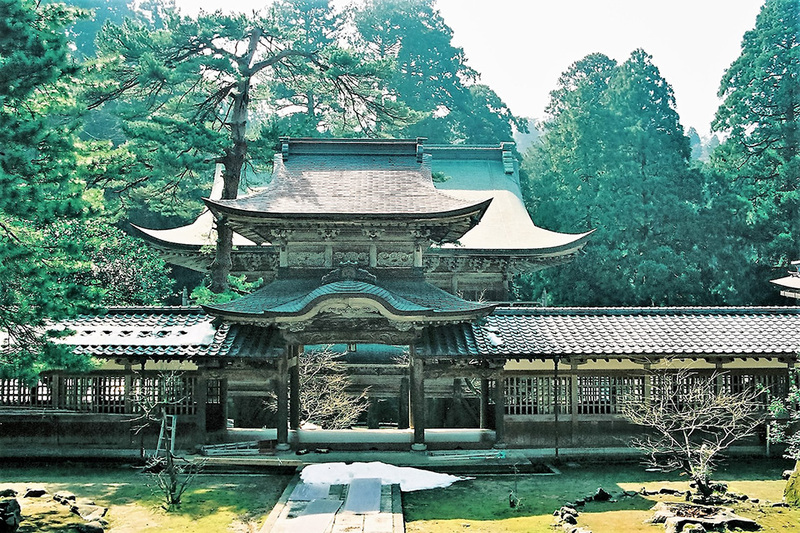 Eiheiji Temple is the head temple of the Soto Zen and was built by the Zen Master Dogen in 1244. Monks devote themselves to strict practices still to this day. The Yokokan was the residence of Tadamasa Matsudaira of the Fukui Doman, and also referred to as “Osensui Yashiki” (waters of the residence were drawn from the Shibahara Channel) during the Edo period. 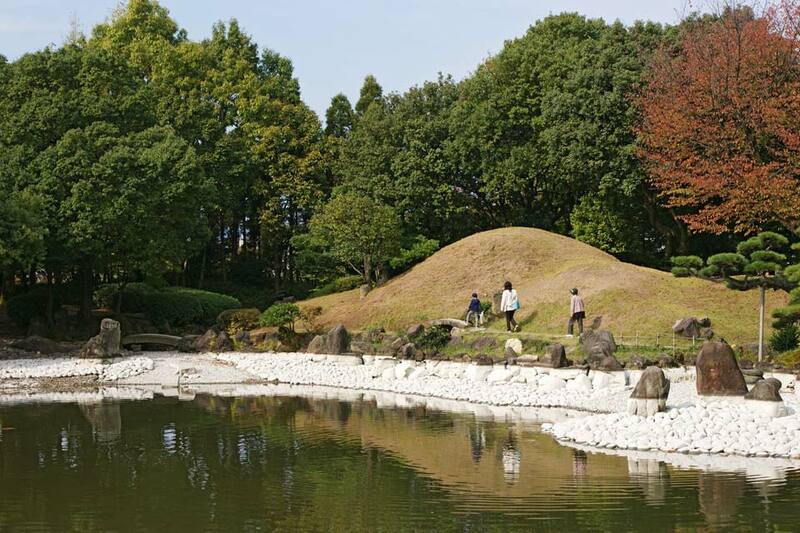 It is highly praised by artists and became widely known as a magnificent garden of the mid Edo period for its Shoin style architecture and garden surrounded by a pond. 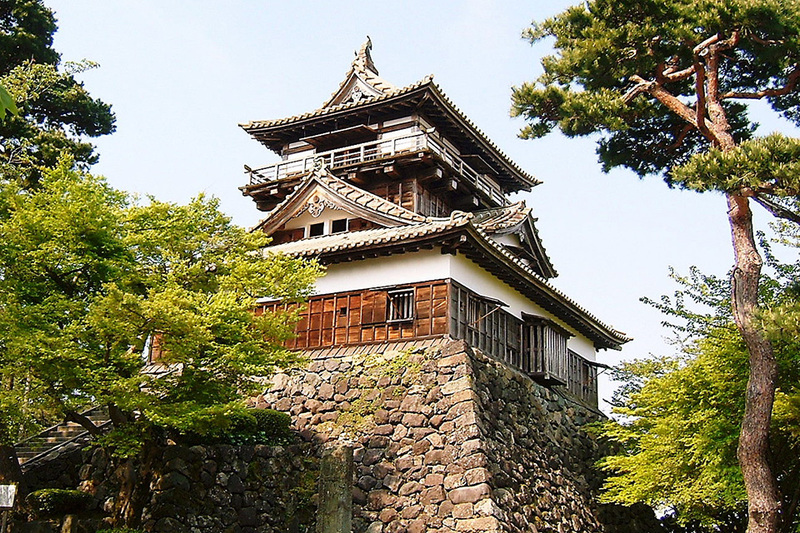 The castle was constructed in 1576 by Shibata Katsutoyo, the nephew of the famous military commander, Shibata Katsuie. It was selected among the “100 castles of Japan” in 2006. It is also referred to as “Kasumigajo” (the castle of mist) since it appears as if the castle is covered in mist when the surrounding 400 cherry blossom trees are in full bloom. It is also among one of the top 100 cherry blossom spots in Japan. 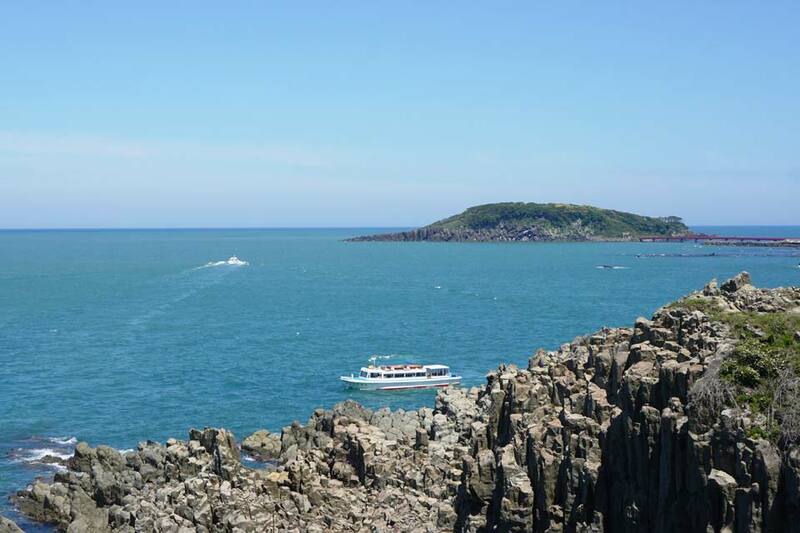 Tojinbo is a location with a spectacular sight, where columnar joints of rugged rocks extend for 1km. It is designated as a National Scenic Beauty and Natural Monument. The cliff that stands more than 20m high is simply astounding, and the sight of rough waves from the Sea of Japan breaking against the rocks can be stunning. The cruise ship takes visitors nearby some of the oddly formed rocks such as the Lion Rock and Candle Rock.